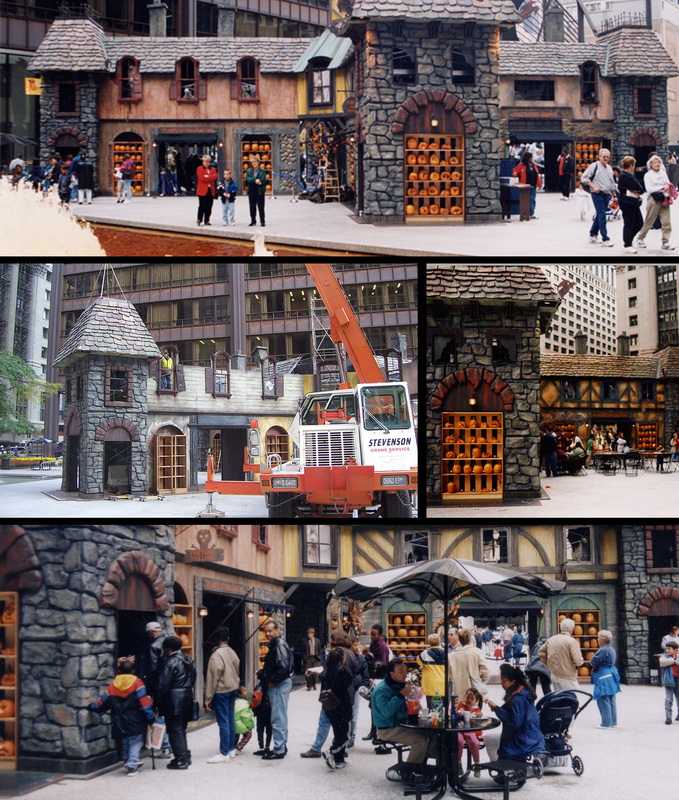 We designed, built and set up this village on Daley Plaza every Halloween for ten years! Built on large steel frames to withstand the elements, we assembled large sections on the ground and used a crane to lift them in place. Very fun!